BEIJING: Lenovo has selected Burson Cohn & Wolfe to support its corporate PR and brand reputation in China. "This selection is part of our ongoing efforts to optimize our global agency roster to ensure we have access to the most creative talent and best-in-breed agencies in support our ongoing transformation," said Torod Neptune, chief communications officer of Lenovo Group. Lenovo started its review last summer. The corporate reputation and thought leadership assignment is a seven-figure brief that will run separately to its current agency provision, PRWeek was told in a previous interview. "As a component of this evaluation process, we continue to maintain an ironclad condition that all our agency partners demonstrate their commitment to diversity and inclusion, and that they share a commitment to ensuring their agencies, and our account teams, reflect the diversity inherent in Lenovo’s global customer and employee bases," Neptune explained. "We started the review process with every global agency with credible, significant operations in China," said Neptune. "We narrowed that down to a group we invited to pitch in-person with us that included BCW, Zeno Group, Ogilvy, and BlueFocus." Lenovo has been wrapping up the procurement process for the last week. BCW is set to start working with the company in the coming weeks. "We are in the phase of onboarding, so there will be a quick ramp as we anticipate launching a global brand campaign in the next six weeks," said Neptune. "BCW will help with that." He declined to share details about the campaign. Lenovo was also dropped from Hong Kong’s Hang Seng Index last June. At that point, its stock had fallen 57% since it joined the index in 2013, with its acquisitions of smartphone and server businesses Motorola and IBM in 2014 failing to excite investors. Last July, PRWeek reported Lenovo was understood to have carried out individual meetings with a select group of agencies to garner their perceptions of the company in light of events that had transpired since May 2018. Lenovo’s aspiration was apparently to not undertake a full RFP process, but rather to appoint an agency quickly. BlueFocus was the incumbent on the account. "We will continue to work with them in a much more limited capacity," said Neptune. The company has previously said it will continue to work with BlueFocus but it was understood that Lenovo would prefer to work with a global agency partner with China expertise that is focused on integrated communications, rather than just media relations, for this particular assignment. Lenovo’s total agency remit for China is understood to amount to eight figures. In October 2017, Lenovo appointed Zeno Group as its global corporate and product AOR, an account worth $6 million. The account was formerly handled by Text100. At the time, Neptune said the Next Fifteen agency would continue to support Lenovo in "key markets." He added the review would not affect the relationships Lenovo has with other agencies that support the brand on a geographic basis around the world, which accounts for about 50% of its overall global agency support. Matt Stafford, president of Asia-Pacific at BCW, said in a statement that the agency was "thrilled" to be selected by Lenovo. 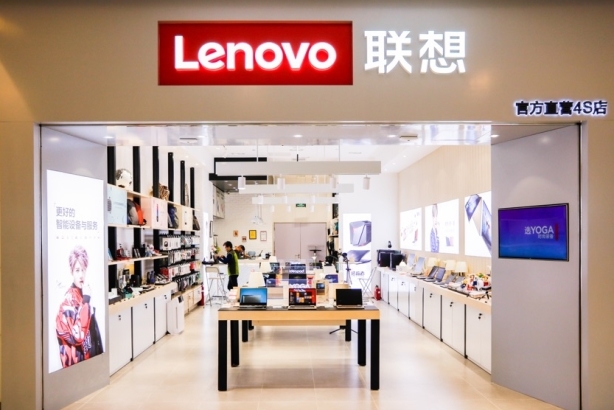 "Our newly constituted Lenovo Group account team, led by Beijing market leader Qu Hong, is primed to help our incoming client communicate its exciting story and transformation across this critical market," he said, via email. This story was updated on March 8 and March 11 with additional comment.